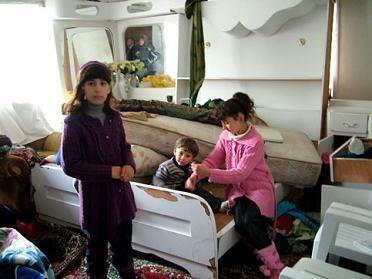 Anan Subih's children in their damaged home. Ghassan Abu Sharkh's wife, shot in the foot. All images by Bridget Chappell.